The growth of religious fundamentalism in India is symbolized by the existence of a BJP government committed to the Hindutva. There is growing pressure to declare the cow a sacred, national animal and to ban its slaughter. This illuminating work is a response to this crazed confessionalism. 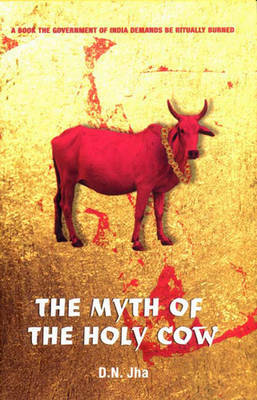 It challenges obscurantist views on the sanctity of the cow in Hindu tradition and culture. Dwijendra Narayan Jha, a leading Indian historian, argues that beef played an important part in the cuisine of ancient India, long before the birth of Islam. It was very much a feature of the approved Brahmanical and Buddhist diet. The evidence he produces from a variety of religious and secular texts is compelling. His opponents, including the current government of India and the fundamentalist groups backing it, have demanded that the book should be ritually burned in public. It has already been banned by the Allahabad High Court and the author's life has been threatened.